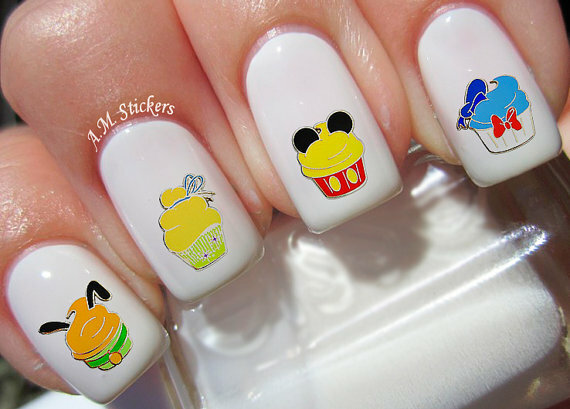 Let’s face it, finding the perfect nail technician that can do your nails in the perfect Disney style are hard to come by. I know. I have been searching forever. I had one nail technician that made Mickey’s head look like a bow tie. Newsflash… I could have done that and not paid an astronomical amount of money!! I’ve decided that, in my situation, perhaps nail decals are the way to go. I feel that people feel very strongly about nail decals, either pro or con. When you don’t have a choice, I’m super pro nail decals. 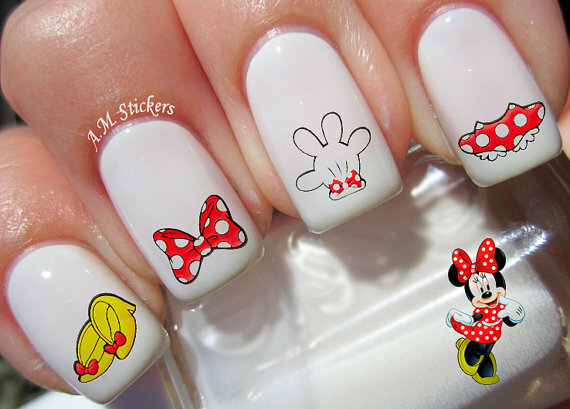 So the question to you is, Disney nail decals or hand painted nails? “My nail decals very easy to apply, because these stickers thin and flexible. 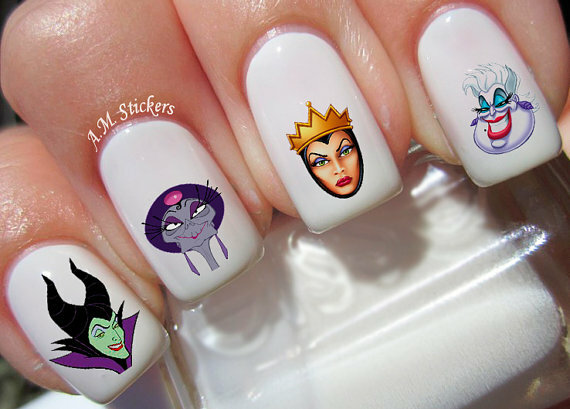 Disney Female Villains nail stickers made on high quality decal paper. With my nail decals you can make your OWN designs and designs for your clients if you are nail artist. 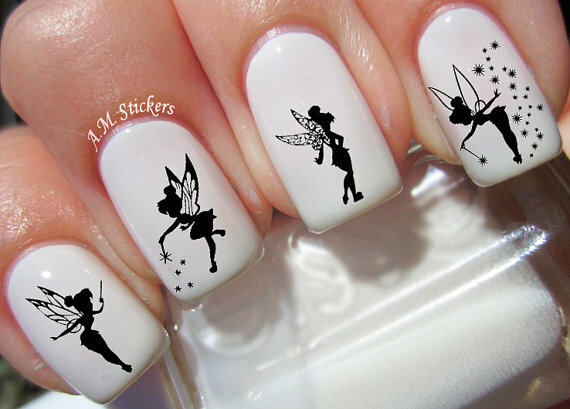 These decals can be applied to any type of nails (regular polish, soak off gel, hard gel and acrylic). My nail decals being used in many nail salons with great reviews. You will receive 51 nail decals and full nail instruction in a resealable bag. Fair enough, right? Seems pretty straight forward. I also love the fact that you can buy 3 and get one thrown in for free, of the store owners choice. I will take it!! There are a ton of designs to choose from, including: Mickey Mouse, Peter Pan, Lilo and Stitch, Tinker Bell, Disney, Villains, Little Mermaid, Mickey Ice Cream, Mickey Body Parts, Disney Cupcakes, Minnie Mouse, Alice in Wonderland, Princesses, Olaf, Disney Cruise Line, Winnie The Pooh, Eeyore, Frozen, and Minnie Body Parts. These nail decals are $3.99 per set and you get enough decals to do your nails multiple times. I think that’s a steal. If you want to check them out, just click the links above!! So what do you think now? Nail decals or hand painted? Let us know in the comment box below! Things You Don’t Know About Buying A Disney Dooney And Bourke Bag!